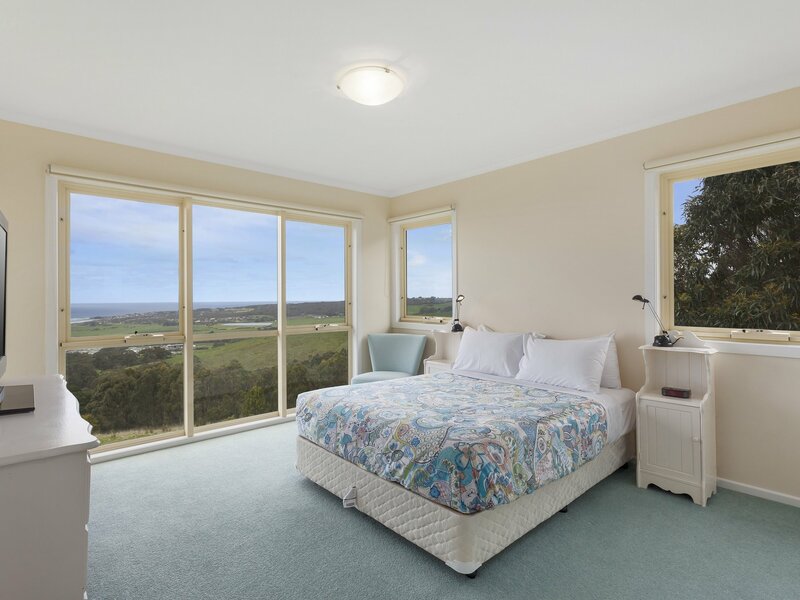 Watch the world from on high at Acacia Brae. 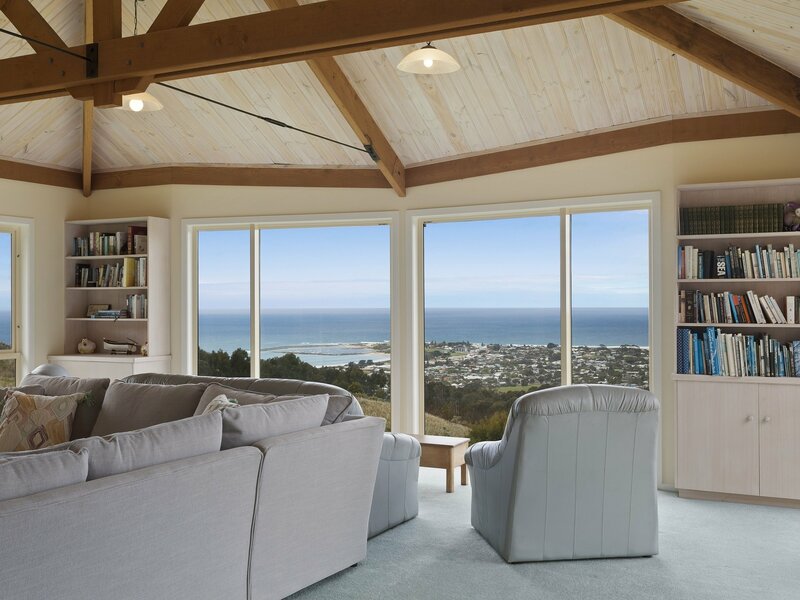 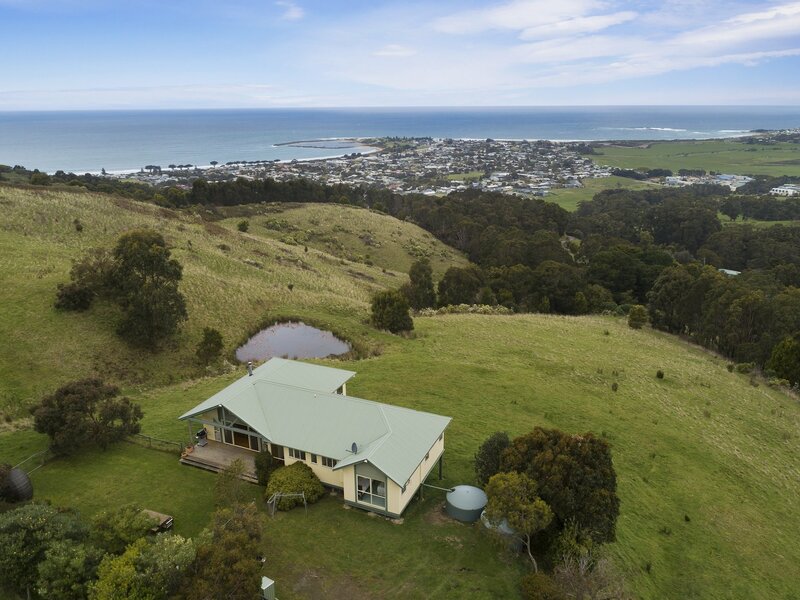 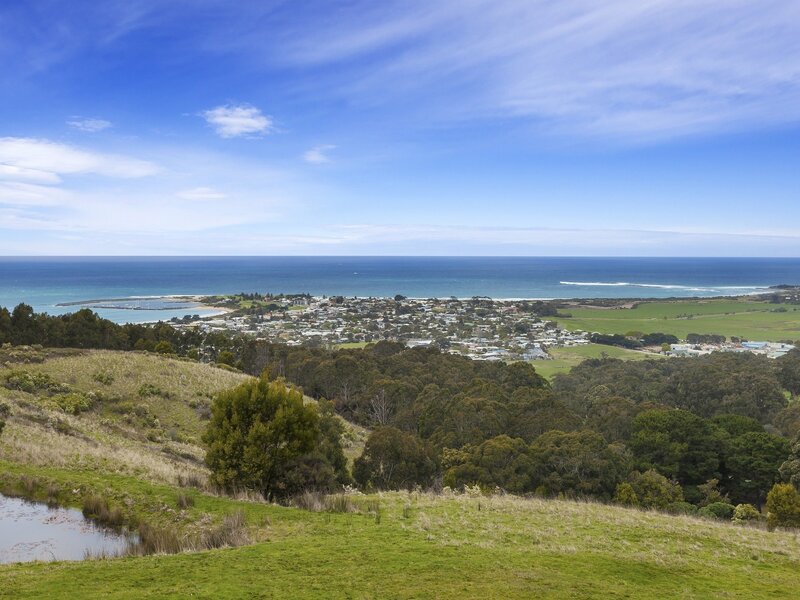 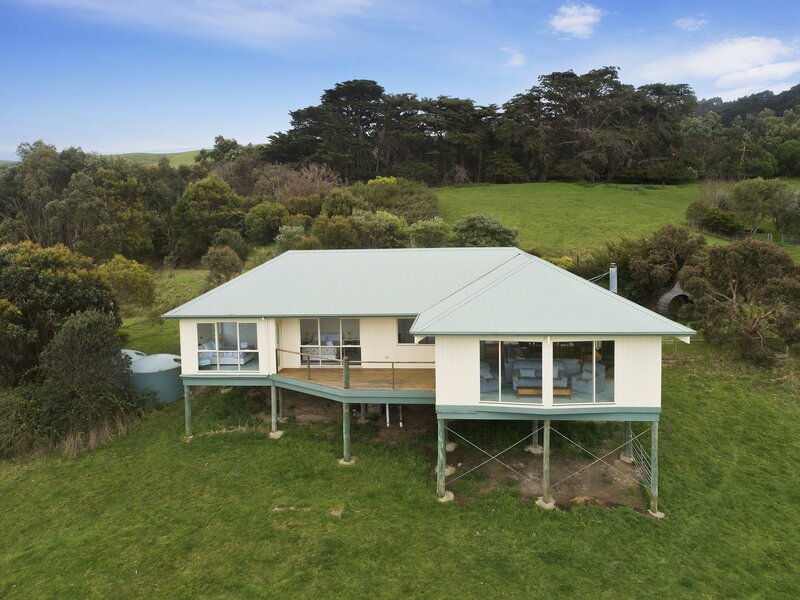 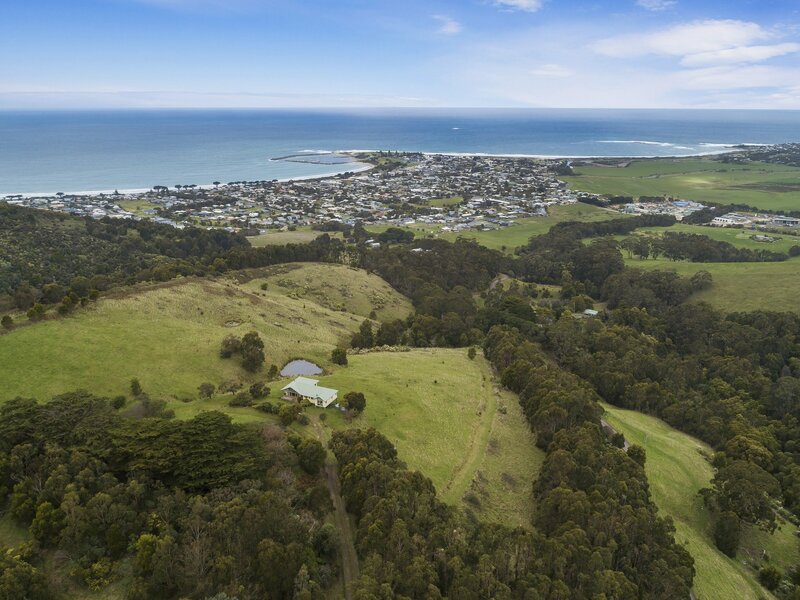 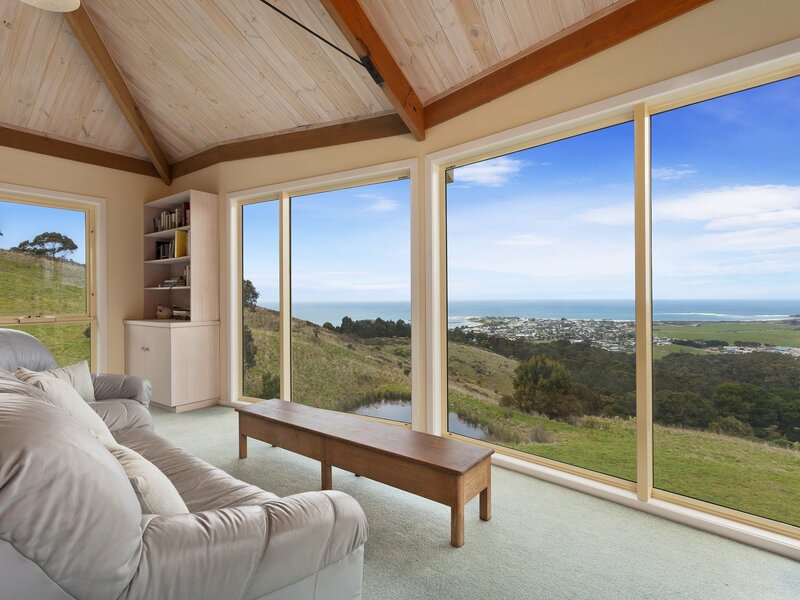 Situated on a 25 acre property of forest and pasture, Acacia Brae sits high on the Apollo Bay hills, commanding uninterrupted signature views of the Apollo Bay township, fishing harbor, ocean and hills. 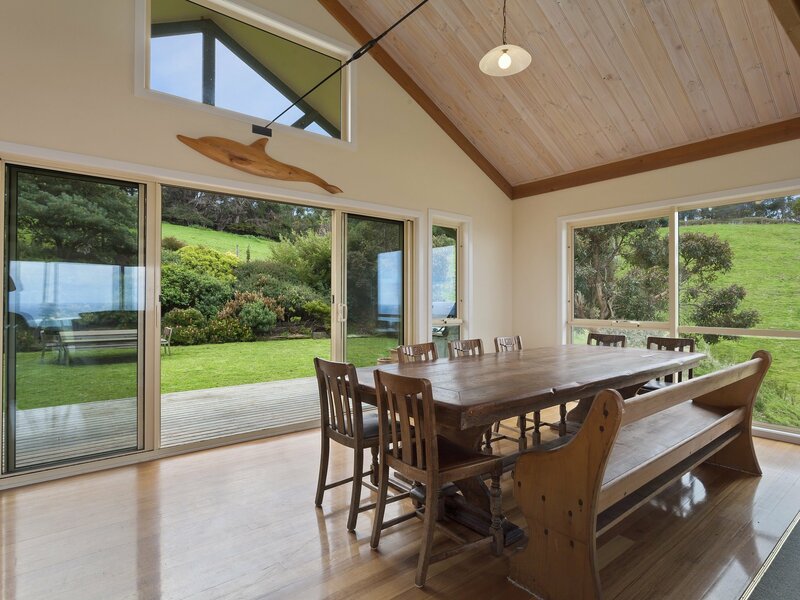 The house is all on one level, entering to the open plan dining and living area with sweeping views through to the ocean. 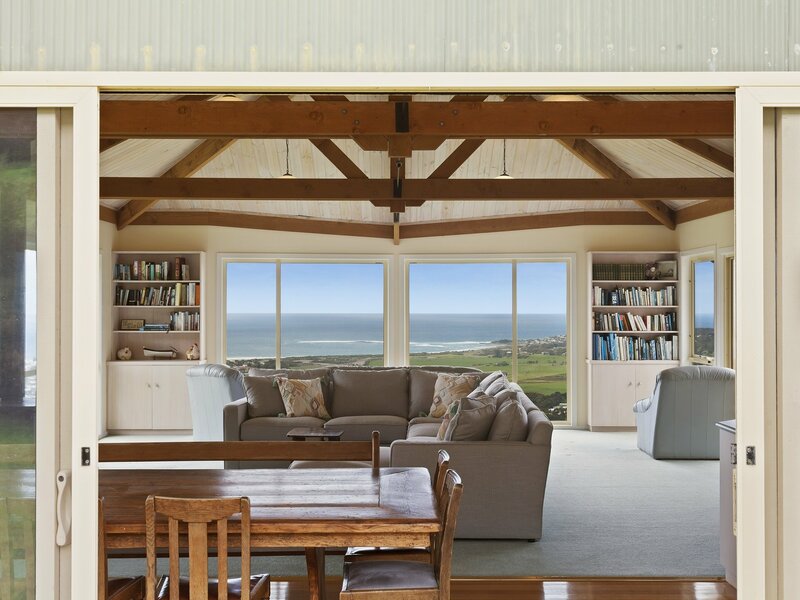 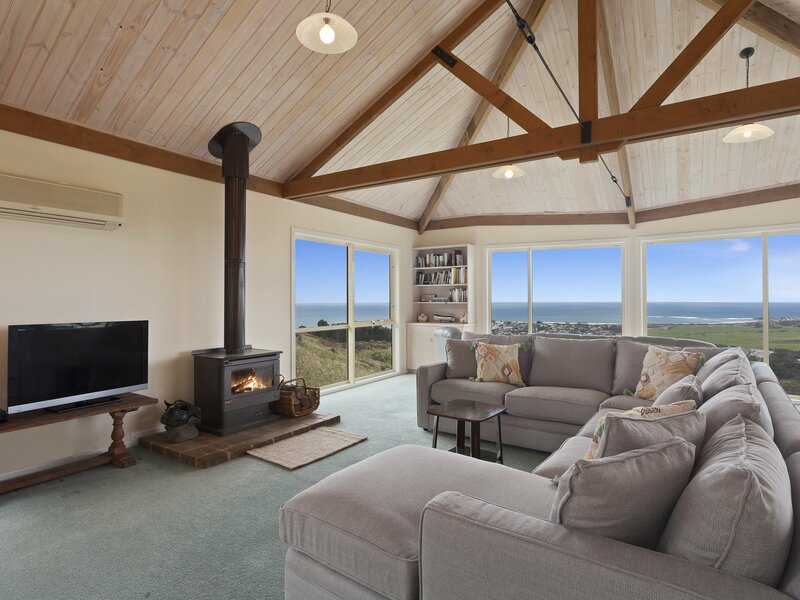 Get comfy on the large couch around the wood fire and TV providing free to air TV reception, DVD and Foxtel, or choose the other seating to look straight out at the view while catching up with each other or some reading. 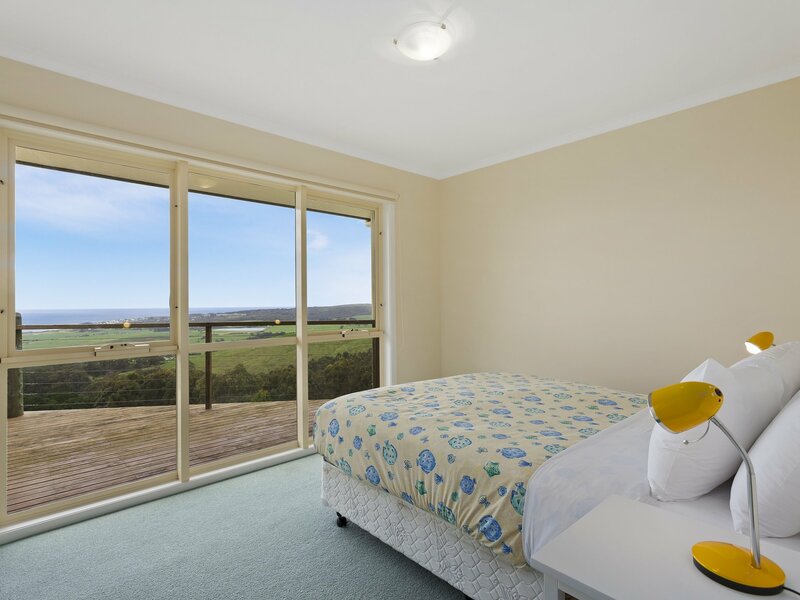 There is also a reverse cycle heater/air conditioner in this space. 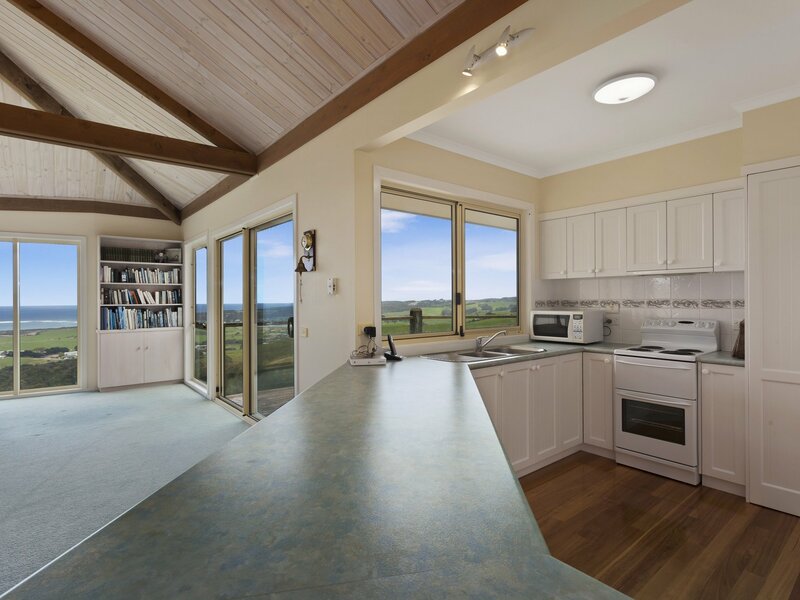 The large timber dining table is ready for your shared meal together, from the adjoining kitchen with electric oven, microwave, dishwasher drawer, and sink with a view. 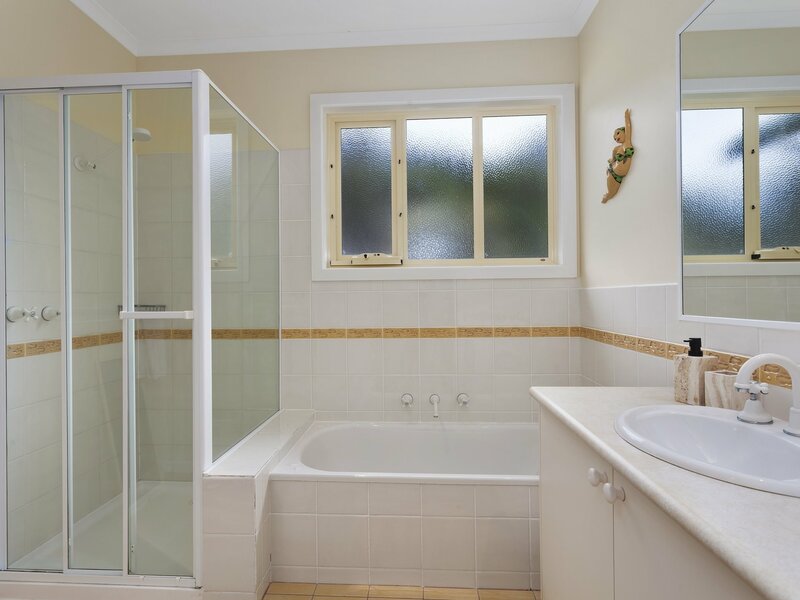 A passage way leads to the three bedrooms, bathroom with bath and shower, separate powder room and laundry with washing machine and dryer. 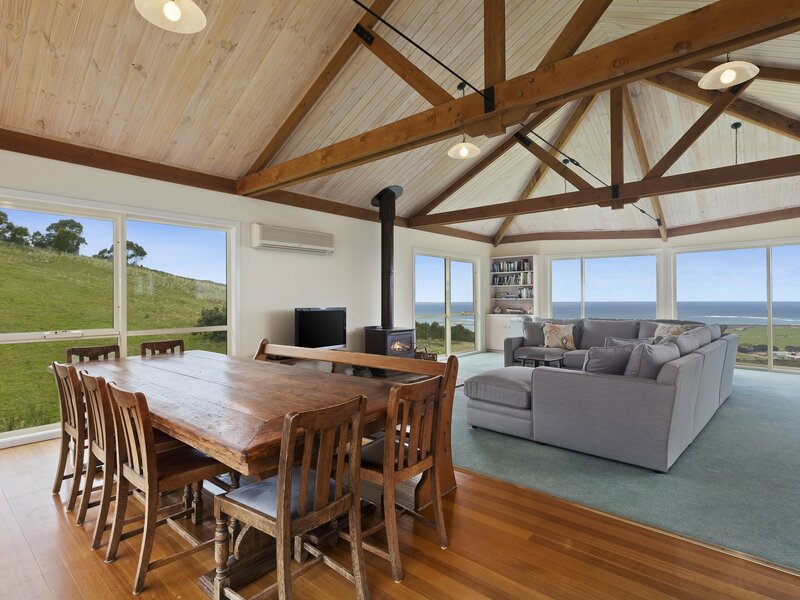 There are two decks – the front ocean facing deck is accessible via both the lounge room and master bedroom. 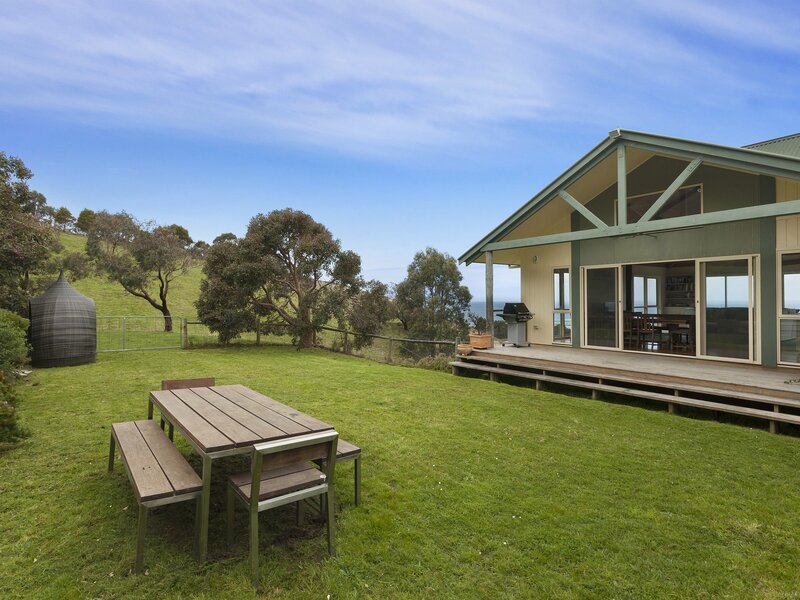 The entry deck is North facing and contains the BBQ, with outdoor furniture on the enclosed lawn yard. 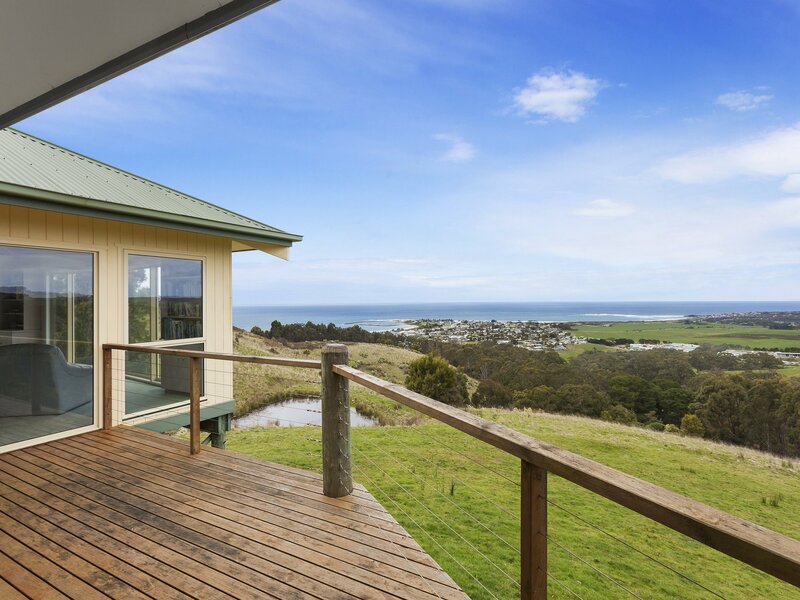 This serene property brings you close to the wildlife that shares this land including koalas, echidnas, wallabies, parrots and eagles, while being only minutes from the beach and the Apollo Bay shopping centre and restaurants. 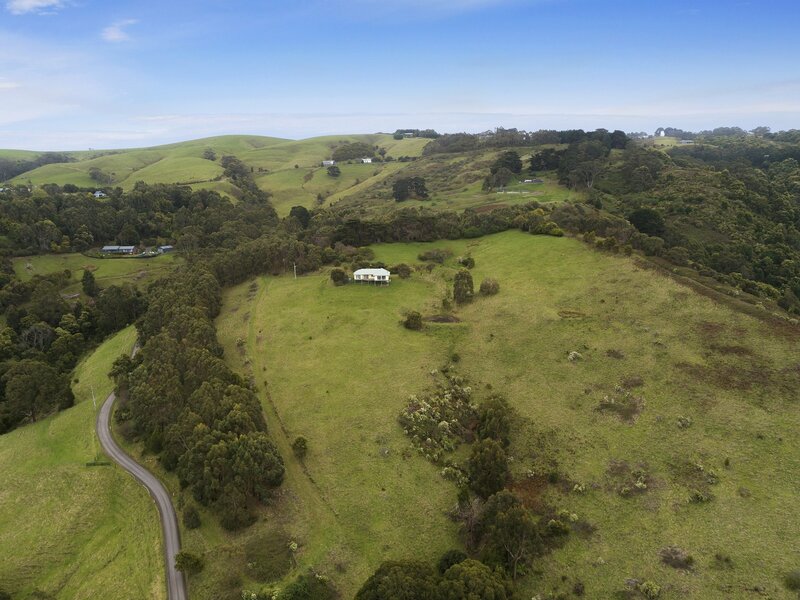 Feel free to wander and explore the property, including paddocks, forest, and a fruit orchard. 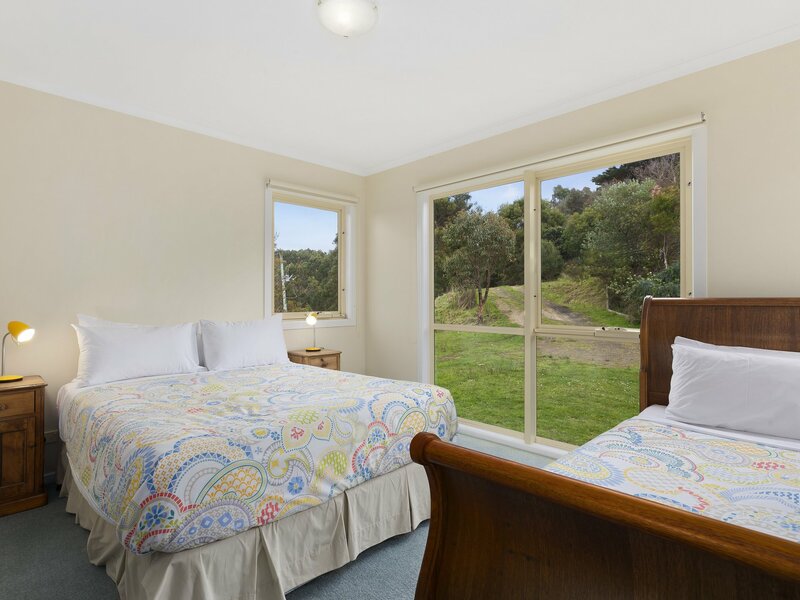 The house can sleep up to seven guests in three bedrooms. 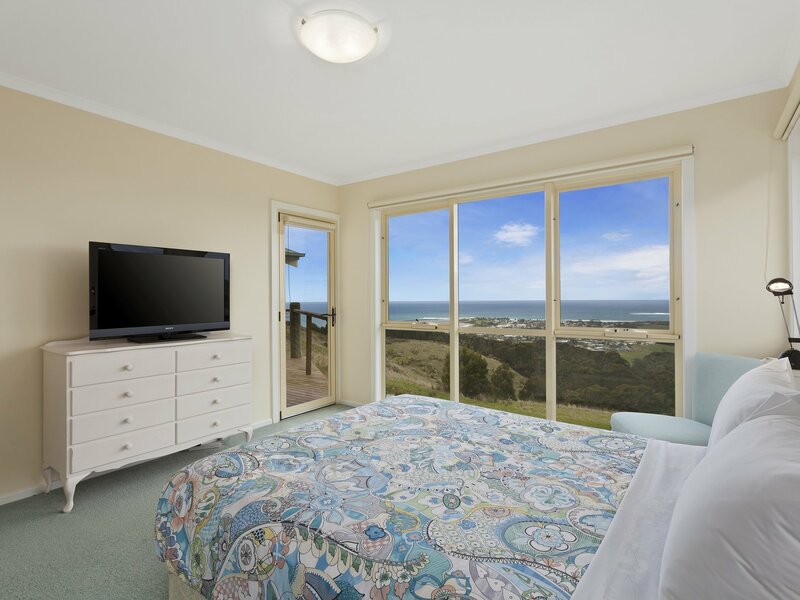 $20 Service fee applies to each booking.